Masonite HD steel offers superior strength combined with the elegance of decorative Woodbridge Glass in the Nickel Half Lite Steel Entry Door. The Woodbridge Glass design enhances both the appearance and value of your home without compromising security or privacy. Durable high-definition panels offer excellent shadow lines for added architectural interest. The entry system features a primed 7-1/4" wood door frame that's ready to paint. 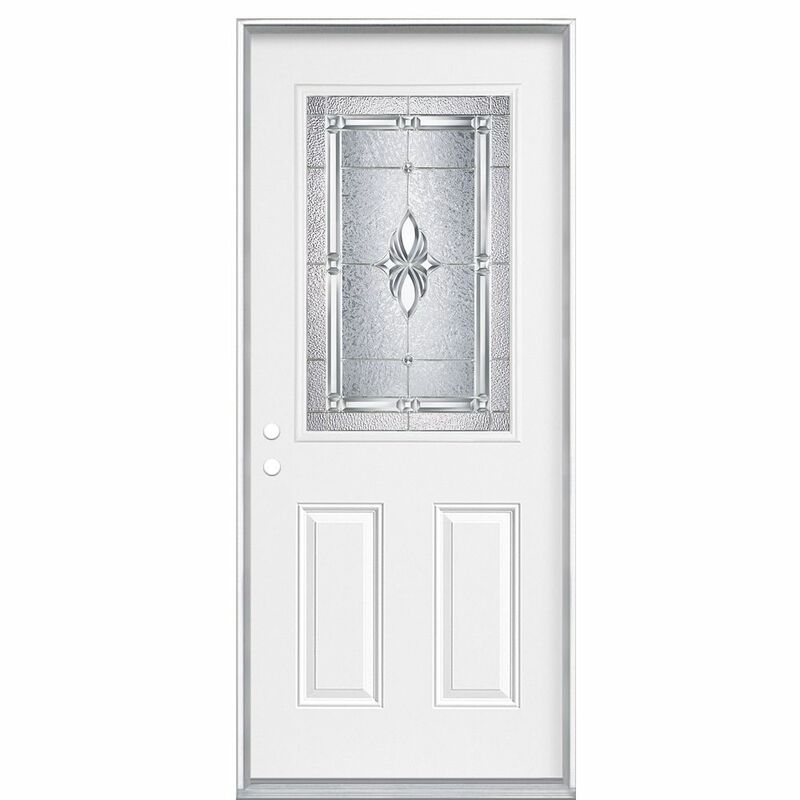 Door unit fits a rough opening of 36-1/2 x 82-3/4"
34-inch x 80-inch x 7 1/4-inch Nickel 1/2-Lite Right Hand Entry Door - ENERGY STAR® Masonite HD steel offers superior strength combined with the elegance of decorative Woodbridge Glass in the Nickel Half Lite Steel Entry Door. The Woodbridge Glass design enhances both the appearance and value of your home without compromising security or privacy. Durable high-definition panels offer excellent shadow lines for added architectural interest. The entry system features a primed 7-1/4" wood door frame that's ready to paint.